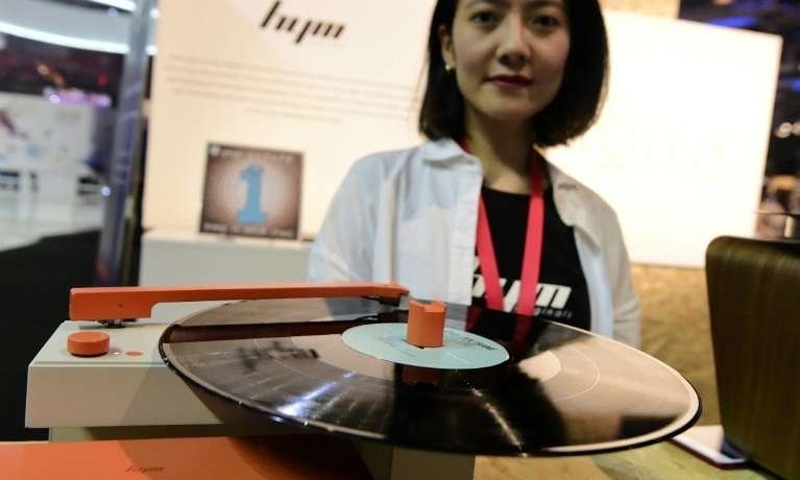 Berlin : For many consumers, rewinding cassettes, carefully placing a needle on a record or shaking dry a Polaroid photo may all feel like long-forgotten gestures from a bygone era. But they’re everywhere to be seen again at Berlin’s IFA tech show, albeit it with an unmistakable digital touch. The “new trends” section of the fair, which often showcases upcoming Christmas-season blockbusters, is dominated by a stand belonging to Polaroid, the household-name camera firm that not so long ago appeared near death. Known as the One Step+, the snapper looks exactly like a traditional Polaroid from the outside -- but offers Bluetooth connectivity to sync up with Android and iPhone apps. Competitor Kodak also has an instant camera, the Printomatic, on offer, claiming less than 40 seconds to develop a photo in colour or black-and-white. “For the new generation, it’s totally new. They have no idea how to take a picture like this, without a screen, or to wait a week for it to get developed”, said Polaroid spokesman Tobias Henze. Unlike digital photos trapped under smartphone glass, “you can frame it, put it on the wall, offer it or put it in a scrapbook,” he points out. Jarir Bookstore, the largest retailer of books and consumer electronics in Saudi Arabia, will open a branch in the Kingdom next year. Jarir Chief Operating Officer Nassir Al Ageel noted Seef District as the best location for their new branch, due to its attractive investment environment.